I wanna go outside. I am sick of being cooped up. Is it simply the doldrums of this dreadful Chicago winter that has brought snowstorm after snowstorm? Has it been the bout of pneumonia that this winter came with? Was it simply the tease of warm weather I just received after spending a long weekend down at the Florida Audio Expo in Tampa? True, walks along the beach in St. Pete only made me long for warm weather even more. 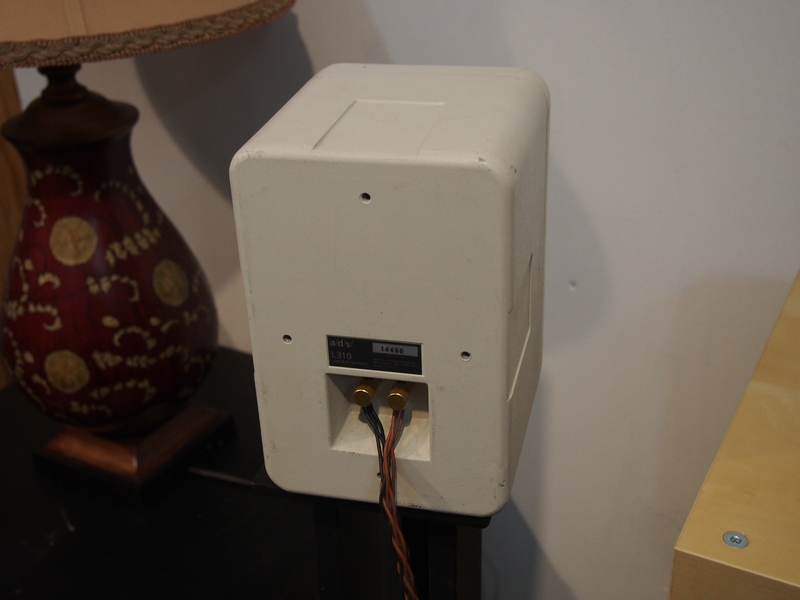 So, here I am now, sitting in my basement, listening to… a pair of patio speakers. Has cabin fever really taken over me that badly? Being in the audio business has its perks, quirks, benefits, and interesting side-effects. One of those is that you normally have, or continually acquire, friends that are also audio enthusiasts. This makes for a deep pool of people constantly wanting to hear your gear or lending you theirs. Like a bunch of girls trading shoes before going out on a Friday night, we’re geeks trading speakers, cables, DACs, discs, and tweaks, all for fun. A couple months ago, I was at a friend’s house for a vinyl night, sampling a couple very interesting and very dark craft beers when someone in our circle mentioned that he had a pair of speakers in his trunk for me. After spending a rather entertaining evening spinning some Alan Parsons at 45 rpm and Tchaikovsky at obscene volumes through an old pair of Theils, the time came for my speakers to go from his car to mine. My friend told me that these were on “long-term loan,” with no other real parameters given. He just really wanted me to hear them. A very beat up old pair of a/d/s L310-AW outdoor speakers that he enjoyed very much. They had no brackets or mounting hardware – but I had no intention of bolting them to the side of my home anyway. These sat for a bit while I was getting to some other reviews that needed to be done, until suddenly… cabin fever struck. I just couldn’t resist. I can’t go outside, but I can somehow have the sound of outside, I guess. So, let me get to the point of them! The sound, already! 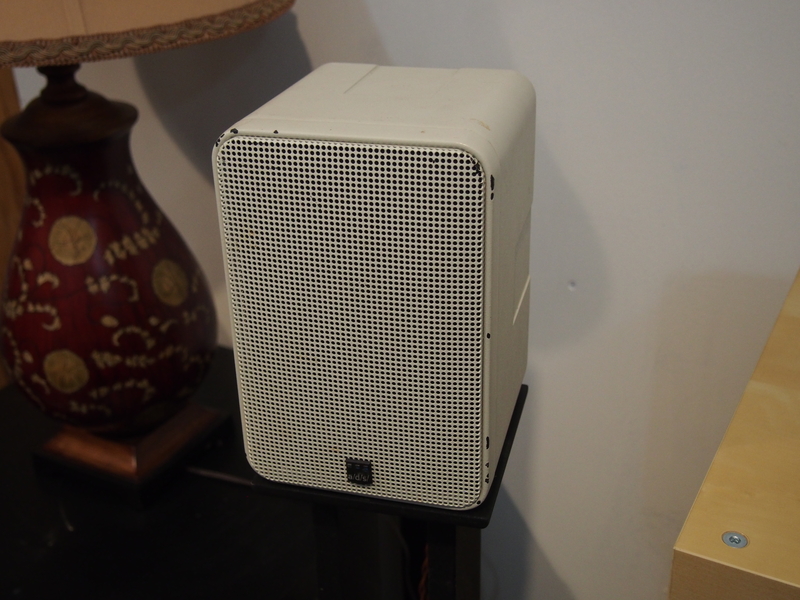 The sound is immediately that of outdoor speakers, without a doubt. Clear as a bell, but with a midrange that would throw across even a huge yard. For an indoor application, these might be considered just a tad harsh across the mid-band, but I can see how they would excel on a patio! Highs are crisp and very focused, but not over-emphasized. Bass is well-rounded. They’re not pounders, but that’s probably not what most people want for their backyard BBQ, anyway. I couldn’t resist throwing on some backyard music. Van Morrison’s “Moondance” felt right to me. Morrison’s vocal just flows right out of the a/d/s speakers, nicely placed in the room, even just a little much for this environment. I get an instant reminder that these speakers, like me, really do need to be outside. When track 2 kicks in, the title cut of the album, the tinkling piano is what really becomes inspiring about these little 2-way speakers. The bass guitar, which is so key to this song, is also coming through just beautifully. Would that bass get lost in an outdoor environment? I’m not certain. Somehow, Tom Petty makes me feel more like summer, and I’m in our backyard. As I play “Breakdown,” I’m pleased with the dynamics and separation of the little white outdoor speakers, but I do wish for more crispness in the high end. There does seem to be just a little something lacking in the cymbals for me. I have a feeling that, even by summer, I’m still going to be pretty addicted to Steven Wilson’s “Home Invasion,” which was a birthday gift to me back in January. Wilson did such an amazing job with the sound on this disc, both on the live CD and the Blu-ray. Here, I’m getting a little more of the crispness that I was looking for. However, I’m finding the sound just a touch hollow from the a/d/s speakers. The separation is still superb, though. Sound staging is quite nice. These have been a nice little treat to have around. Were I in need of a new backyard speaker, a/d/s would be on my short list to closely consider. I can see them covering a large yard or patio very effectively. Should these still be in my possession come warmer weather, I may find myself experimenting with them outside, in the garage, in friends’ backyards, or during other opportune moments. My mind is already swaying deep into spring and summer, regardless of the snow piles looming at the end of my driveway.